Round 3 is complete. After arriving to the track with an old rear tyre and a pair of wets assuming all the races would be wet I spent the whole weekend on the drys. This track is the one that made me decide I wanted to start racing and I remembered why on saturday. Its just such a flowing circuit and so rewarding when you get the lines right. I qualified in 15th on saturday and finished the first race in 12th. My second race on saturday was carried over to sunday due to delays. I woke on sunday to a torential storm, I got straight on with fitting wet tyres to the bike only to be replacing them before my first race, the track dries up so quickly. 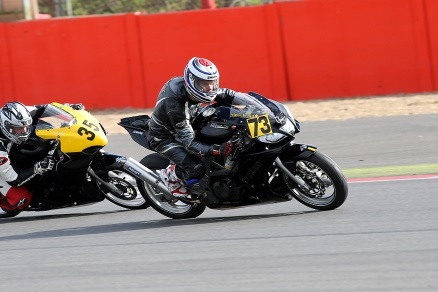 I finished 12th again in my first race on sunday and as the day went on the track dried and the rain stayed away. My second race saw me finish in 15th and my third race also saw me complete in 15th. I managed to set my fastest time of the weekend on sunday afternoon, 1:20.3. Race 2 was carried over to sunday. My best time was 1:21.373. The front runners were running 1:16’s. I finished 12th again. Race 3 I finished in 15th with a time of 1:20.3 my fastest lap of the weekend. Race 4 on sunday was a great race, lots of battles going on. I finshed 15th again with a time of 1:20.577.